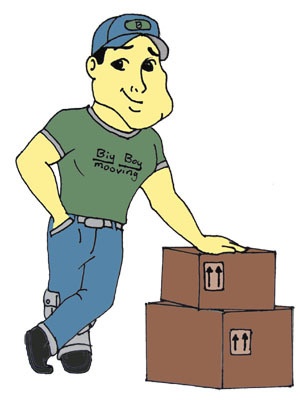 Big Boy Moving and Storage offers a wide selection of moving boxes and supply in a very competitive price. We’ll give you a full refund for any boxes you didn’t use. 1.5 cf moving box – Also called Book box. The smallest moving box there is. You should pack small and heavy items. 4.5 ct moving box – Large box also called linen box. Use for lighter objects such as pillows and bedding. Picture moving box– Also refers as Mirror box. It’s a flat box made from four-pieces large or small that can be adjusted to any size. With adding bubble wrap you can pack glass picture or mirror. Wardrobe moving boxes – 4’ high box with bar so your clothes can be transported on hangers. Boxes for moving dishes – Also called dish box. This is the strongest box available with double cardboard to pack fragile, breakable items such as china; usually used for kitchen items. Packing paper – Used to wrap everyday items to prevent scratching. Never use news paper to prevent black ink on your dishes. Bubble wrap – plastic packing material made out of bubbles used to over-wrap small, delicate items. You can use it to wrap larger fragile items such as lamps, pictures or TV. Shrink wrap – Use to protect sofas or mattresses from water damage. Moving tape – plastic tape, best for sealing boxes. Test before using to tape drawers.